As we get closer to the endgame, Marvel Studios is giving us more and more reasons to be excited. This time, an Avengers: Endgame special look trailer has just been dropped, officially tying back together the Iron Man and Captain America team up, and facing them once again with the Mad Titan Thanos. “It’s not about how much we lost, it’s about how much we have left,” Tony Stark claims in this new special look trailer, and that's what exactly this is about, seeing the last of Earth's Mightiest Heroes reuniting to make one last attempt in defeating Thanos. Here we see the reunion between Tony and Pepper Potts, as well as that of Nebula and Rocket's. We also get to see Iron Man and Captain America finally shaking hands since the rift between them started in Civil War and continued in Infinity War. What's most interesting in this special look is we finally see Thanos. “You could not live with your own failure. And where did that bring you? Back to me.” he says in a voiceover. At the last few seconds, we see the Marvel's big three: Iron Man, Captain America, and Thor walking up to the Mad Titan who was enthroned on some ruins which would surely lead to one big battle. 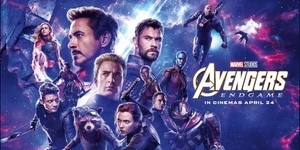 Avengers: Endgame is directed by the Russo Brothers, Anthony and Joe Russo. It stars Robert Downey Jr., Chris Evans, Chris Hemsworth, Mark Ruffalo, Brie Larson, Scarlett Johansson, Paul Rudd, Don Cheadle, and more. 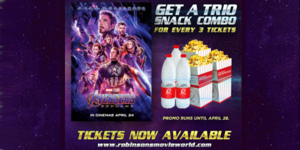 Catch Avengers Endgame in theaters this April 26.